On a rainy Monday night in midtown a few weeks ago, I found myself faced with classic New York dilemma. I was running late to meet Andy for his birthday dinner downtown and needed to make a decision: Should I try to catch a cab (always a risky proposition on a rainy night) or just get on the subway, which involved a transfer (always a time-eater)? At the same time, I was also asking myself Why didn’t we just stay home for his birthday? The girls could’ve been part of it and I certainly wouldn’t be standing on a corner soaking wet, nervous about being late. To add to my decidedly First World anxiety, we were going to Buvette, a jewel box of a restaurant on Grove Street in the West Village, run by Jody Williams, who has become something of a cult hero to food insiders and bon vivants everywhere. In other words, it’s popular. Every minute I was late felt like an hour I’d have to queue up for an open table. I took the subway to Christopher Street, sprinting a block in the rain, by then coming down sideways. When I finally bulldozed into the gastrotheque, feeling very much like a wet dog, I made my way back to Andy seated at a small table tucked into a corner. “Happy Birthday, I’m sorry, I’m sorry, I’m sorry, Happy Birthday,” I said, but less sorry than relieved that we still had a table. “What’s the stress?” he said, taking a sip of his Manhattan and leaning back. “You’re here. Look at this place.” He opened his arms wide, as if personally presenting Buvette to me. He loved Buvette — which is why we picked it for his birthday. I looked around at the intimate, brick-exposed space, at the regulars reading books and drinking cocktails at the marble-topped bar, at the chandelier made from old cooking equipment hanging like a piece of modern art in the back room. For all the trendy chatter about this place, it felt neighborly and warm, as if it had been here forever. Within minutes, I was sipping my own Manhattan, overtaken by the warmth, the cold rainy streets fading away like a jet trail. I’ve only been to Buvette for dinner, but I’ve heard it has this escapist effect on diners no matter what the meal, and no matter what state of harriedness the diner might arrive in. Like the corner we were tucked into, everything about the place is small: The table, the menu, the plates, the portions, the covered ramekins holding little cassoulets, confits, rabbit stews, and coq au vins. We started with two toasts: Fava and Ricotta and Anchovies with Butter, then moved on to beets with horseradish creme fraiche (coming soon to a dinner table near me) and rabbit moutarde before finishing with a chocolate mousse, so densely chocolate that the two forks planted like flagpoles in the dessert stood upright until we removed them and mauled what sat before us. I’m not writing this to a) make you jealous or b) gloat (though I will say, I nailed the birthday dinner.) I’m writing because as of this week, even people who don’t live within a subway transfer of Buvette can still have the experience at home (minus the sprinting and the raining hopefully). Recipes for everything we ate that night are in Williams’ new book Buvette: The Pleasure of Good Food: The toasts, the moutarde, the mousse, the creme fraiche — not to mention everything else we want to go back to eat including the Roast Chicken Salad (above, left) Braised Leeks with Shallot Vinaigrette (above, right), Oatmeal Brulee (below), Duck Confit, Warm Potato Salad with Anchovies, and an Apple and Cheese Fricos that my kids would go crazy for. And the book itself, with its cloth spine and poetic photography (by Gentl & Hyers) is one of the more stunning objects I’ve seen. I know what I’m giving hosts and Mother’s Day celebrants this year. Soft-boiled egg with prosciutto-wrapped Parmesan-spiked soldiers. Toasted Oatmeal Brûlée that can be made up to a week in advance — should you be doing some breakfast or brunch entertaining. Set a heavy medium skillet over medium heat and pour in enough olive oil to thinly coat the entire surface of the pan. Sprinkle a quarter of the cheese evenly over the surface of the pan and scatter over a quarter of the apple slices and a sage leaf. Cook until the cheese has completely melted, is bubbling, and is golden brown on its underside. Using a spatula, carefully fold half the cheese over to form a half-moon shape (like an omelette) and transfer the frico to a square of parchment paper. Continue to make fricos with the remaining cheese and apples, adding more oil to the pan as necessary. Serve warm. Here’s some great news: Grand Central Publishing is offering a free copy of Buvette to a commenter chosen at random below. Contest ends 4/23 at 5 PM ET and winners must live in the US. Good luck! Update: The winner is Courtney (A Life From Scratch) #255. Thanks to everyone who participated! Also: apologies that the deadline originally said 4/24 instead of 4/23! I totally messed up the date — it was only supposed to be a two-day contest; please forgive the typo. You are making me so hungry right now! I’ll definitely have to check that place out. Love, love, love your website. Our children have left the nest, but dinner still remains a challenge for my husband and me. Your website has given me motivation as well as inpiration! Sounds like a wonderful birthday dinner! Everything looks lovely. My husband and I have started a cookbook challenge – to cook through (most) of a cookbook’s recipes in a year…this one is going to have to go in the queue. Thanks for sharing such a wonderful story- I love that cookbook cover! Gorgeous photos to go with your beautifully descriptive comments! Sounds like a fabulous evening. gorgeous! would love to add this book to my collection. Oooo, that logo really is the best. Glad that the birthday dinner was such a success! Amazing – good food is the foundation for good living! I’m so curious about that toasted oatmeal brulée! What a gorgeous, mouthwatering book. I need to find out whatever that is on the cover of the cookbook so I can immediately make it and start consuming it — looks delicious! Would love a copy of this book. What a wonderful cookbook, I might have to buy it this year for Mother’s Day! Headed to NYC soon and am eager to go to Buvette! Thanks for the review. I love your description of it all. Makes me want a copy! That looks amazing – I’d love to cook out of that book. I’ve wanted to visit this place ever since reading about it in MSL. (And seeing those little Nutella spoons they serve!) I’d be so thrilled to have a copy of Buvette in my little Indiana kitchen. I want to go to there!!!! I would study this book cover to cover, splattering each page with the ingredients as I mulled over the steps- the way a well loved cookbook should look! There is nothing better than a warm, cozy, intimate restaurant , and especially for special celebrations. This place sounds lovely. This book looks lovely! Can’t wait to open it up and try some recipes! Everything looks amazing! Especially the soft boiled egg with the parmesan wrapped prosciutto. Oh my husband and I went on one fabulous date to Buvette when we were in the city last summer and we still talk about that place all the time! We loved the wine we had so much that we ordered a case of it (which we NEVER do) a few weeks later. I can’t wait to try some of these recipes at home! I have been on a quest for the perfect baked oatmeal for Christmas morning for years. But clearly I should be making toasted oatmeal brûlée instead! WOW. 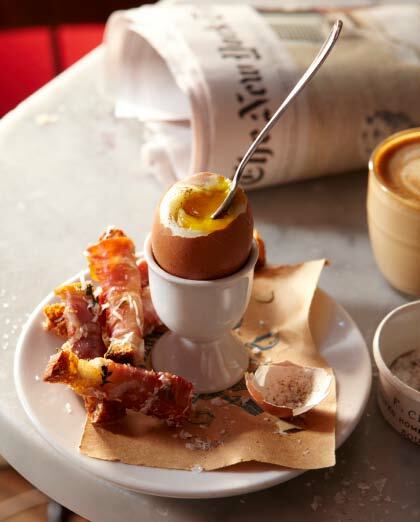 The soft-boiled egg with prosciutto-wrapped Parmesan-spiked soldiers loves heavenly. Thanks, DALS–for your site, your books, your BA stuff, the inspiration, this giveaway! You’re my go-to for restaurant recommendations when visiting NYC! Going this weekend! Can’t wait. The cookbook looks amazing, but mostly your post was so evocative it took me away from my current situation: trapped at home with a child with stomach flu! Must try this place on my next visit to NYC! Thanks! I’ve only been to Buvette for breakfast, and I adore it!! Love your post. Maybe I’ll have to make it over there for dinner! A meal to remember, surely. Sounds wonderful! Beautifully written story- glad you were able to enjoy the Birthday meal together. Cook book looks intriguing! It has long been a dream of mine to eat at Buvette–guess I’ll have to content myself with cooking from the cookbook! Le sigh. Everything looks delicious, especially the fricos. This book looks amazing! I really want those fricos in my belly, too! Oh, that food looks so gorgeous! The photography alone seems to inspire an escapist effect! Wow – that all looks amazing. Cookbook would be great. Oatmeal brulee! Must have cookbook! 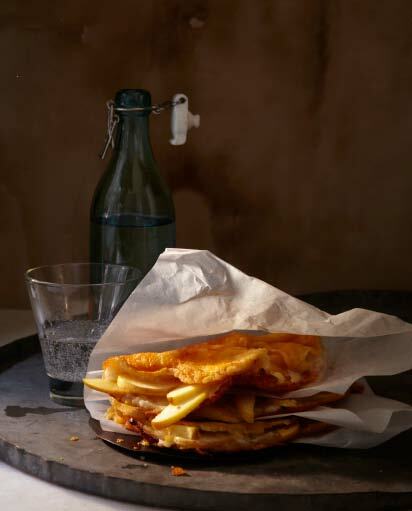 Your girls are not the only ones who will go crazy for apple and cheese fricos! Makes me sad that we left New York. I’d love to try the cookbook. Wow! I love when I stumble on a restaurant that feels secluded and neighborly! And the food looks AH-mazing! Thank you for sharing this moment of foodie-ism and family. I see some of the same ahead for us! What a beautiful a book! Oatmeal Brûlée?!?! I think I will have to purchase this book for that recipe alone… I make baked oatmeal every week- and my little kitchen torch is perhaps the most underused and underrated kitchen tool I have. When I moved from Brooklyn to DC, I first missed my friends and that was closely followed by food at places like Buvette. Looks delicious. What a great choice for a birthday dinner! I have had Buvette on my list for a while, and hope to make it there over the spring. However, I would love a copy of the book to recreate their beautiful dishes at home! Celebrated my 21st birthday here..will never forget! I got sidetracked by the food photos on the Buvette website and nearly missed the chance at the giveaway! I am having serious food envy right now! I cannot wait to get my hands on a copy of that book!! Kudos for nailing the birthday dinner! The food looks delicious. I’d love to try the restaurant and cook from the book. Sounds magical! First thing I would try is the oatmeal. Anything I can make ahead for a brunch is grrrreat. I discovered Buvette by chance 2 years ago. I was just walking on the street looking for a place to eat and we walked in. Now everytime I go to New York it is a mandatory stop. I love that place!! I absolutely LOVE your story. Truly, there is nothing better in the world than French food on a stormy night. The photos look beautiful! I’m would love to own the book – very inspiring! I would love a copy of this book. Looks so yum! Looks delicious! I love finding restaurants that melt ones cares away with their food, drink, and ambiance. Sounds amazing, and I love your blog. The oatmeal brulee alone makes me want this book! I am not easily able to go there for dinner–though I’d love to–but I would sure like a copy of the book! Mmmmm. That oatmeal brulee looks killer. What a wonderful birthday treat! Love your blog! Everything looks amazing and interesting… would love to cook from this book. It all looks amazing- thank you! I read about this restaurant a few months back in Bon Appetit. I have not been yet but the description reminds of the small bistros I went to in Brittany and Paris back when I was in college. I look froward to dining there in the future but first the book to cook from! This post has made it very hard to eat a sandwich for lunch. I don’t know what I’m more excited about with this new cookbook — the delicious recipes or the amazing photography! I only know of Gentl & Hyers thorugh Hungry Ghost but they shoot some of the most amazing pictures I’ve ever seen. That dinner sounds fantastic, and both the photographs and your description is making me hungry. Wow, what an amazing experience. So glad it worked out and you had a perfect dinner. Can’t wait to check out this new book or for you to make those beets. Wow…the soft boiled eggs with polenta fries?! Yum…Id eat that every morning for breakfast! Beautiful! This is how we love to eat! My husband and I live in Brooklyn and are always looking for new restaurants to try – I’m definitely inspired to go to Buvette now! Would also LOVE to have their cookbook to try some new recipes at home! Buvette is my favorite restaurant for any meal of the day. Despite how many new restaurants we haven’t tried, it’s always our first choice! 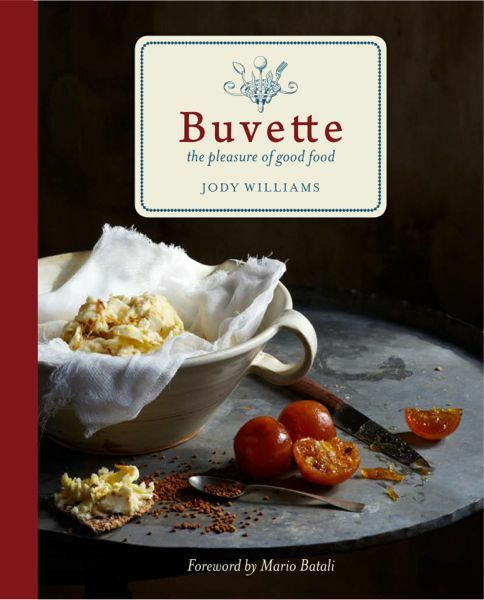 Love Buvette, and can’t wait to get my hands on a copy of their new book! happy birthday to Andy! beautiful! Love this story (and the buvette logo). Adding this to the restaurant list for my trip to NYC in June! I want to go to there. But first, I want to win the book. 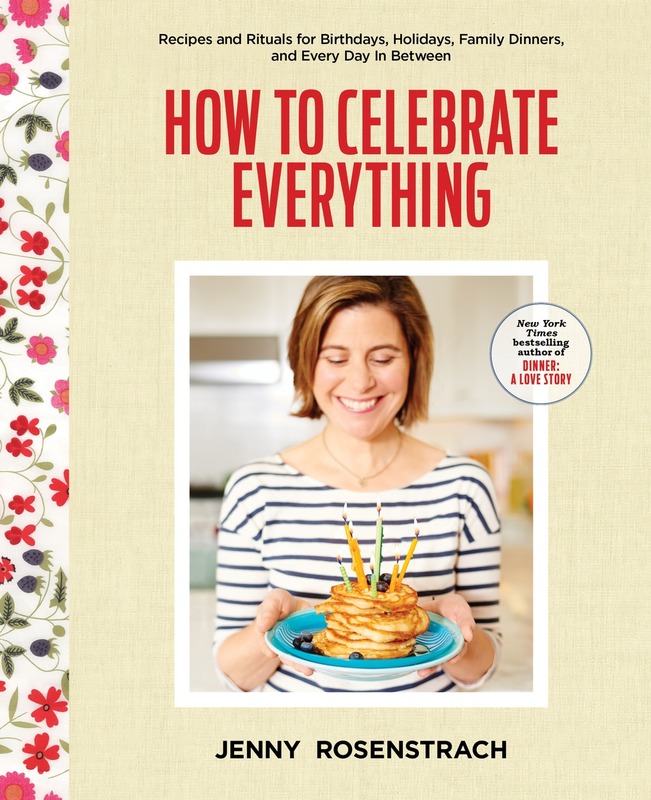 Love this post, and now want this cookbook! Fingers crossed! I don’t live in New York, but that looks beautiful! Buvette is my #1 favorite spot in all of NYC. Can’t wait to check out the book! I need that oatmeal brûlée recipe. You had me at “beets with horseradish creme fraiche”. What a lovely place for a birthday dinner! Have to tell my husband about this. Sharing this post now! Yum, you just added a new restaurant to my list and a book for my shelf! That sounds like a perfect, cozy birthday dinner! Love the idea of a place like this – and of a dinner with my husband somewhere that doesn’t serve anything in nugget form. I live in the Seattle area and have recently been hearing the praising of Buvette! Those leeks, and toasts, make me want to hop on a plane now to visit. Fingers crossed for their beautiful cookbook. Thanks! I want that oatmeal recipe right now!!! Adding it to my list of restaurants to check out! I’d love a copy of this beautiful book! ooh, would love this book — what a good Mother’s Day present! Oh west village, how I miss you so. Sounds delicious and looks lovely. 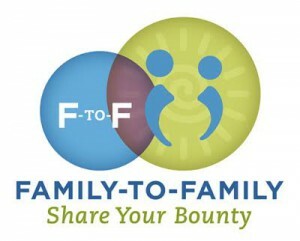 Best logo and best name…It’s quite fun to say! I need this book in my life, winner or not. Sounds amazing. I am definitely jealous! Want it for my friends/neighbor in TX who are in their late 80’s & hardly can go out & venture different restaurants in other states…..so if I am the lucky one, kindly ask for their email & address & you can ship directly to them. Cannot wait to go to to Buvette myself! Happy birthday, Andy! Living in the Midwest, we sometimes need to bring the world in! What a great way to do it by ordering “Buvette” ! I just did! Your story makes me wish I lived in NYC so I could go to a cute, cozy restaurant with amazing food. The next best thing would be to win the cookbook! Expecting loads of out of town guests for daughters 13th bday. Would love great recipes to serve to our visitors! Thanks for giveaway. You’re right, that logo DOES look awesome! You described my perfect evening! Book sounds lovely too. Thanks for your inspiring blog. It’s also nice to think of you running through the rain and being greeted with a smooth, “You’re here.” Cheers for both of you! Everything sounds lovely, and surprisingly do-able. After reading your post I was suddenly filled with the urge to find a sitter and get off the hamster wheel of the after school / work grind! Those leeks look amazing! I’d love to give them a try! I would pay good money for rain to delay me, even from a nice birthday dinner. I have no desire to be in NY (sorry, I like the country) but Buvette almost tempts me and that book goes on my shopping list ASAP. Oh the pictures made me drool! what a wonderful dining experience! i’ve lived in nyc for years and have always meant to try buvette but never made my way over there. will definitely have to head over soon…and try some new recipes from the new cookbook. thank you the lovely post. Um..yes please! Those cheese fricos look delicious! I need this cookbook! Wish I would have heard of Buvette before my recent trip to NYC! Can’t decide what I want more: the oatmeal or the cheese fricos. Mmmmmm! This book looks fantastic! Thanks for sharing. I have exactly one cookbook that I cook from – yours. Buvette looks amazing, I’d love to add the cookbook to my collection of one! What a lovely testament to this place! It’s on my list to visit next I’m in your city, but until then, I’m so glad this book exists. all of these pics make my dinner look really unimpressive in comparison — but i’d love to cook anything from buvette at home! and make a pilgrimage to the restaurant ASAP. Gorgeous food! I’d love to spend some time getting lost in this book. Sounds so lovely… I’m going to need that cookbook, I think. That oatmeal is calling to me. The first time I heard the term “buvette” was in Provence, when my husband and I hiked from our hostel to a tiny village surrounded by lavender fields. We were told by some locals that there are no restaurants in the village, but a family opens their home as an ad hoc restaurant called a buvette and we could come back in the evening. We turned up again at dinnertime, had a wonderful meal, and felt so lucky to have stumbled upon such a cool place. I’d love to try Buvette in NYC sometime too. Happy birthday to Andy and thanks for your blog! What a beautiful birthday dinner! I have never been to or heard of Buvette, but it sounds lovely. The recipe above looks divine. I would have never thought to use cheese to make a pocket of sorts instead of using the ubiquitous eggs! Bravo! Wow, those fricos! Are you kidding me?? I see Buvette has brandade on both their lunch and dinner menus; I wonder if it’s in the cookbook. I’ve been thinking for some time that I should learn to make brandade for my mother, who has fond memories of it but would never bother to buy the salt cod to make it at home. This recipe is ingenious. I am in Arizona so a visit to Buvette won’t happen anytime soon. But I will get my hands on that cookbook! oh lovely. How generous of them to share the book and all the recipes! Sounds amazing. Intrigued by oatmeal brûlée. I’m drooling over this so much! happy birthday Andy! Did you know I worked at a restaurant called La Buvette?? It’s delicious and I yearn for the bread EVERYDAY. It’s owned by a couple Francophiles that reside here in Omaha, Ne. warm duck confit salad? Yes please! it all looks brilliant. Happy Birthday, Andy! Wow, if even the oatmeal looks divine, sounds great!! I think I’ll have to visit Buvette on my next trip to New York! Wow, beautiful book!! I want that oatmeal brûlée right now! That is definitely the best logo ever! Lovely logo, simple and warm with a hint of glam. Sounds like a fantastic bday dinner. The roast chicken salad looks delish. Sounds like a fantastic bday dinner. The roast chicken salad looks delish.. I will visit NYC this summer! Making me miss city life! Lots of people to celebrate this spring…looks like a beautiful book! Sounds like a book to sit down and read with a cup of tea or a glass of wine. What a beautiful post evoking images of an amazing place! I can’t wait to get my hands on that cookbook! Sounds lovely. Happy Birthday Andy! This looks like a great book! Looking forward to taking a look. Happy Birthday! Sounds like a lovely night, despite the downpour! Oh my! Oatmeal is my kryptonite. I need this book. What a fantastic story – makes me wish I lived closer to NYC! The buvette cookbook looks beautiful and the recipes look fantastic – can’t wait to try them. omg… the egg and prosciutto dish looks amazing… sounds like an awesome birthday! You had me at oatmeal brulee! The book looks beautiful. While the last thing I need is another cook book, I just can’t resist. This looks delicious and I would love to go there! This book looks like the perfect thing to curl up with (and then cook from) on a rainy Sunday afternoon! Thank you for sharing this. I’m always looking for great places to eat in the city. What a lovely looking book. Me please! I want to make everything in this book! How lovely. 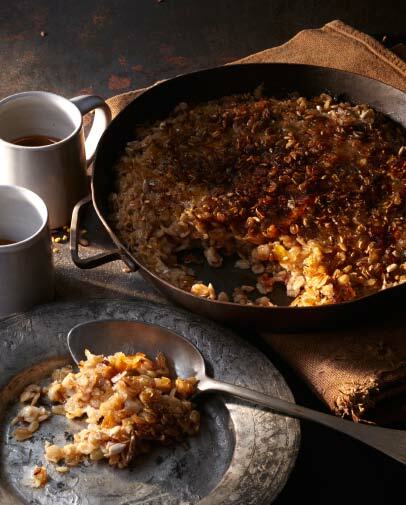 The toasted oatmeal brulee looks delicious! What a gorgeous cookbook! Here’s hoping! Dear Jenny and Andy, Happy Birthday indeed! Glad you had a delicious meal to celebrate. Speaking of birthdays, thank you for recommending Otto in a previous post regarding an eight-year old’s party. EIGHT of us had lunch at Otto yesterday. We ranged in age from 12 to 70, and every palate feasted on the delicious range of pizzas and salads. To top off the great meal, we passed Mario Batali in the street afterwards and thanked him in person! Knowing we can trust your taste in restaurants, I cannot wait to experience Buvette, sigh. Cheers! Those recipe’s look delightful. Would love to get that cook book for mothers day and stay in bed reading all afternoon. Thank you for your website. It has forever changed the way my family eats dinner – in a good way. My girls are 6 and 11 and I appreciate how you show that you can still eat together as a family every night no matter what you have going on in your world. I so enjoyed a visit to Buvette on a recent trip to New York. I’m psyched to bring a bit of their magic to my kitchen with their cookbook! Sound like a wonderful restaurant and great cookbook! I need that roast chicken salad in my life – PRONTO! Wiping the drool off my keyboard. Mmm, that post just made me wish that I lived in NY. I may be making the Fricos tonight! Ugh, that meal sounds ridiculously fantastic. I am sitting here in LA wishing I could hop a flight to NYC for dinner. Looking forward to reading this cookbook! What a beautiful meal! I would love to try! Ohhhh Buvette. It’s one of my very favorites in the whole wide world. The rabbit moutarde…can I take a bath in it?? For me though it’s the chicken liver paté. Every time. There are times when I wish we could be to another place but then I remember how lucky we are live so close to nyc and to our beloved Buvette. Sounds charming—looks amazing—Happy birthday, Andy! What a lovely restaurant and a lovely book! Oh good God – those prosciutto soldiers! OMG I am moving just so I can check this place out. YUM!!! Gorgeous photos. The recipes look incredible. I’d be thrilled to win this book! There are times when I really miss living in NYC and this is one of them! Place and book look awesome! I’m very hungry now, looks great! Another one to add to list for a future New York trip (came back just now to check your Santa Fe recommendations by the way). This looks amazing. I want this book! Mother’s day present? Non, it’ll be a Father’s Day present chez nous. Thanks for helping me nail the perfect gift idea more than a month in advance! pick me, pick me, pick me! 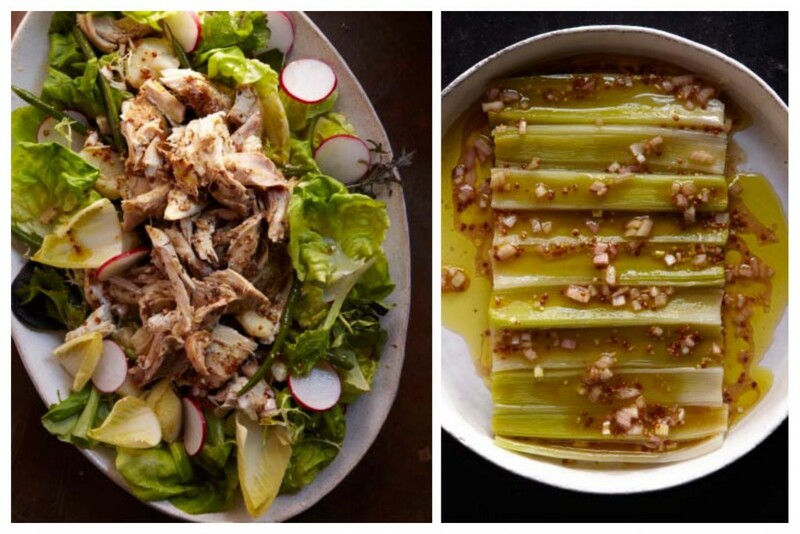 I’m dying to make that roast chicken salad. Have to tell you that I had dinner tonight with some new friends & the host served us your pork ragu with pappardalle noodles (my go to dinner entrée for dinner guests in the winter) & I knew instantly that we were kindred spirits. This would be an incredible addition to my cookbook collection!! Can’t wait to make the apple and cheese fricos! Yum! Anything you can make a week ahead is a coup! I would LOVE to add this cookbook to my (newly) expanding collection. Thanks for having such a great giveaway! Buvette is on the list for our NYC trip this summer! What a beautiful book and restaurant! Tiny Buvette is tucked into a neighborhood that also feels tiny compared to all the tall buildings of midtown and now uptown too where horrible glass monoliths are being built by the score. When you are at Buvette, you can close your eyes and imagine you are in Paris – but as much as I love Paris, I love NY more so I’m happy to open my eyes and find myself at home. The beets with horseradish crème fraîche is my favorite dish there. I would rather eat at home than eat out with two exceptions – Buvette and Pearl Oyster Bar. I would love to take a gander at this book and try some recipes in the near future! I’m on bed rest from ACL reconstruction surgery so I think this would be reading to get some inspiration for what I’m cooking in a week or 2. It looks wonderful, but I’m confused- how is there a winner already? Doesn’t the contest go through 5PM ET? 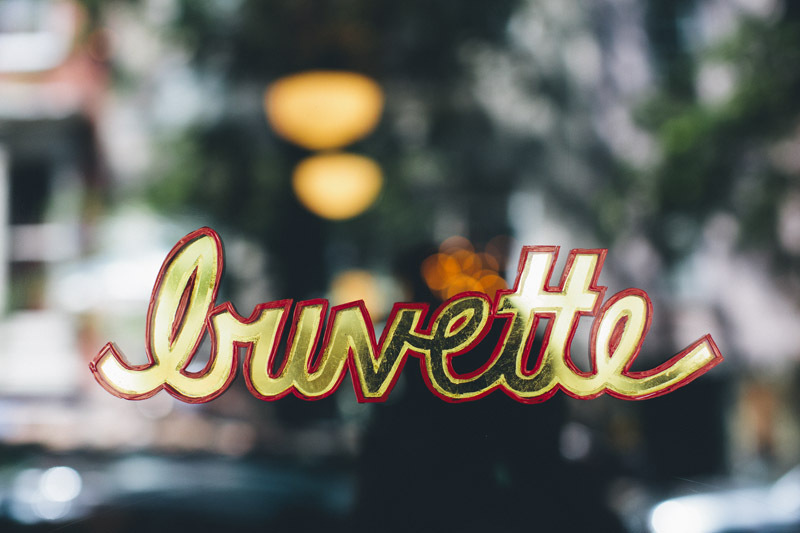 We stumbled upon Buvette shortly after it opened while on a trip to nyc. we felt exactly as you described – it’s a complete escape and true delight. they food is divine and the cocktails are perfection… we now go a few times a year whenever we are in nyc. we are likely jody’s biggest fans in California! I must try Buvette next time I’m in NYC – and would love to cook from the book! 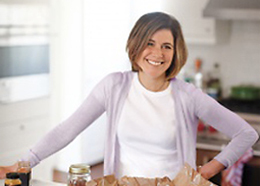 This northwest Ohio gal needs that cookbook! I was just lamenting that I won’t be able to make my annual trip to New York this spring (again, actually). Wouldn’t this book soothe my soul just a bit? So sorry for the double posting—I put an incorrect email address in my earlier comment. Wishing I lived in NYC to experience such a wonderful meal. Very excited to check out the cookbook! I love that place! I wandered in there one rainy day feeling a little heartsick, and the food and the service picked me right back up. I spent a lovely hour there. Having cooked out of this book for a while, must share that my favorites are Poulet Roti, Oatmeal Brulee, and Ratatouille. Well-tested recipes and the photography is gorgeous.